Check out Life Practice Sample Set, project based learning. 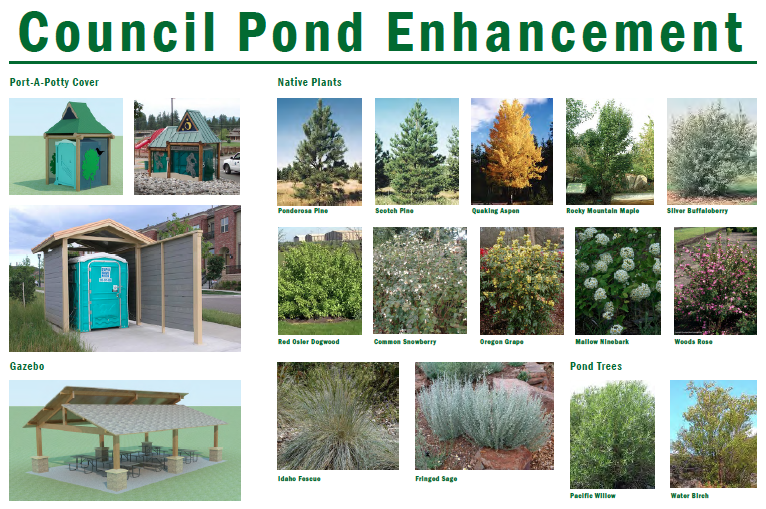 Brief Project Description: Using inquiry based learning applied to real community problems, this student directed environmental stewardship project will improve wildlife habitat and create a community recreation amenity in town while giving our students natural resource restoration skills. Our hope is that students will have the inspiration to pursue college education, natural resource jobs or be engaged in solving environmental issues in their community. Brief Project Description: For the past 8 years, 5th grade students have taken part in the Boulder Creek project in which they raise trout in the classroom, monitor stream habitat and water quality in nearby Boulder Creek. The students present their water quality monitoring results to the city council and community members and take part in riparian planting projects. The students release their classroom-raised trout into Boulder Creek, so they are particularly concerned with making the water quality suitable for their trout. Previous classes have stabilized an eroding stream bank near our school, planted willows in degraded riparian areas and conducted year-round temperature monitoring. What change are you trying to create and why is it urgent? : At Donnelly Elementary School we like to involve our students in solving community problems. Our school has the highest family poverty rate in the school district and we want our students to feel that they can take ownership of projects and contribute to their community’s well-being. Boulder Creek has been designated as impaired by the U.S. Department of Environmental Quality for more than 20 years. When this 5th grade class started the Boulder Creek project, few landowners were participating in conservation activities. 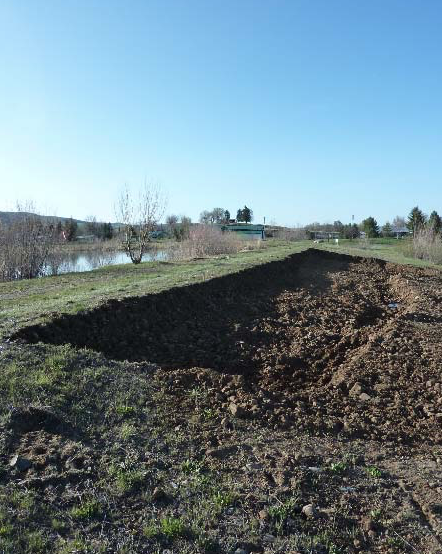 As a direct result of our community presentations and student outreach, we have involved three landowners in riparian restoration projects – improving 2 miles of stream. This year’s 5th grade students proposed the use of nose pumps for cattle to see if that might keep them out of the riparian area without requiring riparian fencing. If the nose pumps (an offsite watering method that cows activate by pressing their noses against) work, then the riparian areas will be able to recover leading to cooler in-stream temperatures and more stable stream banks – improving fish habitat. If this works, it will create landowner buy-in for this type of best management practice. The students have two landowners willing to participate in this project and allow them to monitor the cattle behavior using remote cameras. Next year’s 5th grade class will follow up with the work begun this spring and analyze the results. How can others replicate this project? How will it scale? How will you share it with the broader community? : I have shared how to replicate this type of inquiry based project through joint articles with MOSS published in the journal ‘Children and Nature’ as well as posters at the American Fisheries Society conference. I will continue to share this work through those avenues as well as the Idaho Education Association Conference. 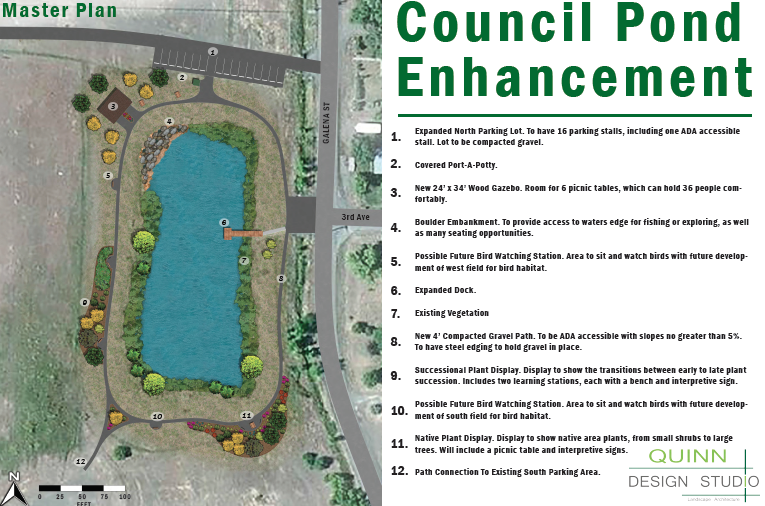 This type of project is adaptable to other rural Idaho schools with nearby streams and supportive Soil Conservation Districts. Brief Project Description: The Boise Urban Garden School (BUGS) is a specialized, comprehensive, inquiry-based education organization that utilizes an organic garden as the foundation for our unique learning environment. We inspire kids through hands-on activities that teach them the science behind gardening, how to grow healthy foods and create healthy meals, and how to be an environmental steward. This year, we want to involve up to 150 Boise Parks and Recreation Community Center youth in immersive, garden-based education, particularly for low income youth who have limited access to both gardening and fresh food. What change are you trying to create and why is it urgent? : We want these low income youth to have access to fresh food, the knowledge of how to grow their own food while also inspiring them to make healthy choices. Childhood obesity is an issue in Idaho and this program empowers kids to make good nutritional choices through a fun, engaging program. As part of this program, youth will take ownership over their community garden and learn soil science, botany, integrative pest management, and culinary skills. Art and writing projects will round out this thematic curriculum. How can others replicate this project? How will it scale? How will you share it with the broader community? : What is terrific about BUGS is our ability to work with both schools and community groups to share our curriculum through Just Add Water workshops and field visits. Brief Project Description: For the past 15 years Wild Science Explorers has led 3-5 day science and stewardship education whitewater rafting trips for primarily low income youth on the Lower Salmon River. Our mission is to inspire young people to connect to the natural world through educational adventures that spark curiosity, stewardship, and a love of the outdoors. Using the river corridor as a classroom, participants study stream habitat, fire ecology, geology and take part in service projects. This year with our project partners (the BLM, Celebration Park, and World Center for Birds of Prey) we are expanding our program to the Snake River from Swan Falls Dam to Celebration Park with our In Steppe program of 1-2 day raft trips for low income youth focused on sagebrush-steppe landscape. For our pilot year, we will work with up to 96 participants. What change are you trying to create and why is it urgent? : The Treasure Valley area is sagebrush-steppe country and this ecosystem supports so many different species, yet is under-appreciated and endangered by development. The Snake River Birds of Prey National Conservation Area has some of the highest concentrations of raptors around, making it an exciting place to study this ecosystem while also being able to see how human impact has adversely affected the landscape. Stewardship projects allow students to participate in habitat restoration. By seeing this landscape in a more wild state, we hope to inspire students to protect and enhance sagebrush-steppe landscapes in their communities while also appreciating its quite beauty. Participants will take part in bioblitz activities, learn about natural history, hydraulic modification, sagebrush-steppe plants and all the animals that depend upon them as they paddle down the river. We will use a STREAM (science, technology, reading, environmental-ed, arts, and math) learning approach to make this an immersive educational experience. How can others replicate this project? How will it scale? How will you share it with the broader community? : Our request is to develop a Snake River specific curriculum manual, including the creation of ‘Lesson in a Box’ – for teachers to take back to their classrooms with instructions and supplies to easily integrate additional sagebrush-steppe lessons into their classrooms. Our curriculum is being developed for our Wild Science Explorer guides/volunteers, but will also be usable by the Celebration Park interpretive staff and area schools.